When Obsessive-Compulsive Thoughts Are 'Triggered' In his memoir Triggered: A Memoir of Obsessive-Compulsive Disorder, Fletcher Wortmann describes the intrusive, overwhelming anxieties that plagued him, and recounts how he gradually learned to cope with what some call the "doubting disorder." From a young age, Fletcher Wortmann spent countless hours absorbed by his obsessions. In third grade, he became consumed with the idea that every nonwater substance on the planet would soon freeze. He spent hours laying plans for how he and his family would survive. Over and over, he replayed an imagined apocalypse. Though he wouldn't be diagnosed until many years later, in retrospect Wortmann realizes the episode marked his "first full-blown bout" with obsessive-compulsive disorder. In his memoir Triggered, Wortmann examines the origins of his anxieties and how he came to be overwhelmed by intrusive thoughts. "One of the most ... misunderstood aspects of OCD," Wortmann tells NPR's Neal Conan, "is that many people believe that it has to involve visible physical compulsion, such as hand-washing or counting or organizing things." 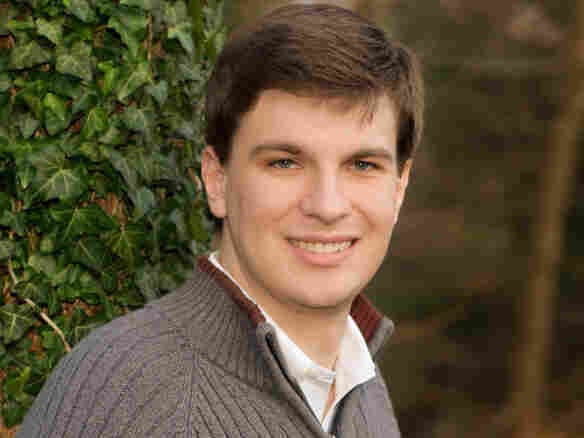 After his sophomore year in college, Wortmann was diagnosed with purely obsessional obsessive-compulsive disorder — also called "pure O" — where the compulsive behaviors are entirely internal, intrusive thoughts. "I think everyone experiences these kind of things. Your mind will just sort of settle on something really distressing and upsetting, and ... most people are able to shake it off. Unfortunately, with obsessive-compulsive disorder, the thoughts take on kind of a life of [their] own, and you begin to wonder: 'What do these mean? How can I make them go away?' "
He discusses how he gradually learned to cope with what some call the "doubting disorder." Fletcher Wortmann was diagnosed with a form of obsessive-compulsive disorder after his sophomore year in college. "I'd had a number of therapists growing up. I eventually had a breakdown and was brought to McLean Hospital, and up to the point of that hospitalization, people misunderstood, misdiagnosed. They would try to reassure me ... those thoughts don't mean anything, which ironically is the worst thing you can do for someone with OCD, because trying to reassure them and tell them that they are safe, it doesn't help with the fundamental issue of uncertainty and just sort of serves as another ritual, another metaphorical hand-washing that can't really give them the absolute certainty they would desire." "There's an almost schizophrenic aspect to it sometimes. There's a sense of being taunted by someone, the way it continually hones in on your worst fears and traumas and anxieties. There's a very adversarial aspect to it. "And ironically, I think overcoming that has been part of my successful treatment because eventually you have to learn ... OCD is, it's like diabetes. It's a condition. It's not something I'll ever be able to completely exorcise or cure. "So accepting it just as a psychological mechanism, rather than as my evil doppelganger, has been very helpful." "I had friends who had contamination issues who would have to sit there with their hands in a toilet for two hours without washing, or with their hands in a bucket of biohazard junk. "And it's a terrible, challenging, traumatizing process. ... But I found through ERP [exposure response therapy] I was able to really confront the things I was frightened of without obsession and eventually managed my disorder much better." "I was very hesitant to take medication, and I think because of this cultural myth we have that medication turns you into a zombie or a robot, or it changes who you are. That hasn't been my experience. I found it's been useful in helping me get into a place where the exposure response therapy ... was more acceptable and doable and less painful. "And that myth of psychiatric medication as a kind of, you know, giving up or selling out, that really disturbs me because I think that's part of what prevented me from really seeking out this kind of help I needed for so long. And I wonder how many other people out there are resisting therapy when they could really benefit from it." 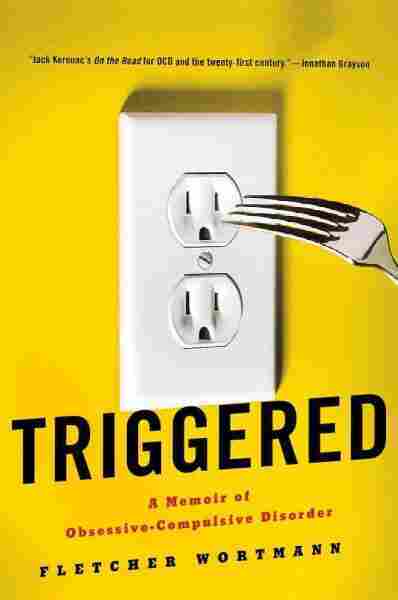 "I was really excited about writing Triggered. I think my primary issue was in editing and revising it and trying to make the text absolutely perfect. And of course there are any number of changes that have to be made as part of the publication process. ... They'd come to me, and they'd say, 'Oh, you can't use those song lyrics for legal reasons.' And I'd be like, 'Ah, you've plunged a knife into my chest.' "